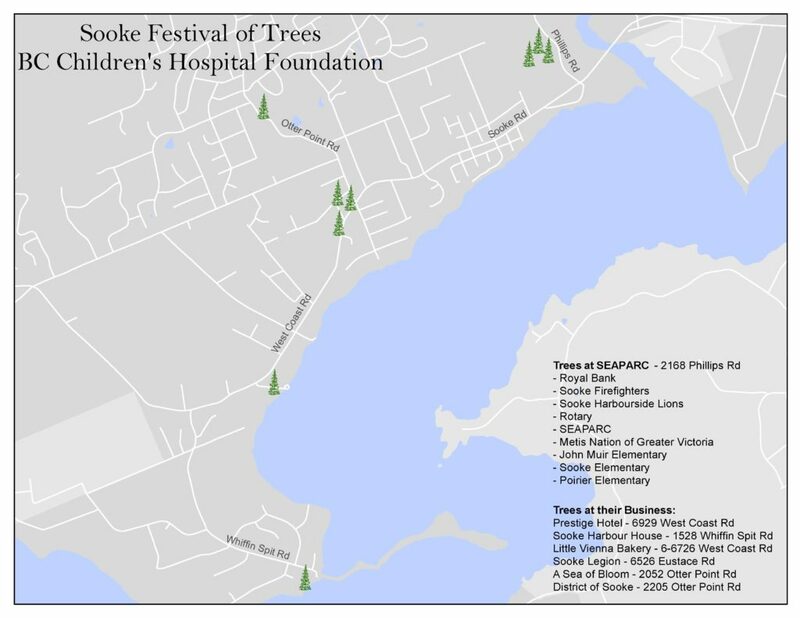 The District of Sooke is proud to participate in the 2018 Festival of Trees, in support of the BC Children’s Hospital Foundation. Please join event organizers at the Kick-Off event at 5:00 p.m. on Tuesday, December 4, 2018 at SEAPARC (2168 Phillips Road). Sooke Fire Rescue Services will be on-site with fire truck tours, hot chocolate and photo opportunities with Santa. There will also be a silent auction. For further information, please contact Elizabeth Olsen at SEAPARC (250) 642-8000.